One of the things that has bothered me over the years is the Trinidad and Tobago Police Service (TTPS) having their flashing blue lights on all the time. Be it simply being on patrol or running to Kentucky Fried Chicken for lunch, the lights are strobing, day or night. You can always tell when the police are coming. Always. Code 1: No lights, no siren. Code 2: Lights, no siren. Code 3: Lights and siren – running hot. It varies from country to country, but there are different levels of visibility of police and EMS vehicles. The TTPS, though, is always at Code 2 for some reason – rarely at Code 3. As a former EMT in the U.S., I’ve noted the ambulances in Trinidad and Tobago have similar codes – most ambulances I see are constantly at Code 2, but that may be because they are supposed to in moving patients. So, why are those lights on all the time? Given the advances in lighting technology with LEDs, the lights are less of a drain on batteries and they last longer so maybe they feel there’s less reason to turn them off. 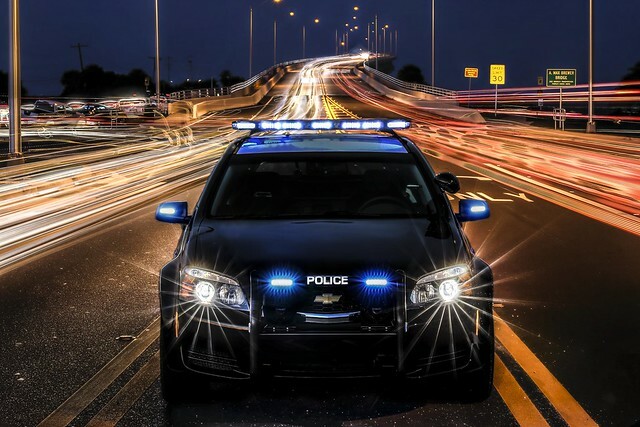 Of course, at night they can be blinding to drivers – and nevermind the LED billboards that flash blue and make people think that they are police. I brought it up in a meeting. About how criminals are put on notice before the police actually get there, particularly at night, and how they react accordingly. The response from a member of the TTPS was that the blue lights made people feel comfortable. There is some validity to that, but the patrolling blue light doesn’t actually stay in people’s homes – it’s a passing beacon of law enforcement that gives as much comfort as a shooting star, which lasts about as long. Back in the 1970s and 1980s, there was a supermarket in the United States – K-Mart – that had flashing blue light specials. K-Mart was on the brink of being shut down in 2017. Times change. With crime in Trinidad and Tobago as much of an issue, it might make sense for police to stop warning criminals to get out of the way so that they might actually catch them. I’m not a Law Enforcement professional and don’t pretend to be one. I’m just someone who sees how a neighborhood changes when a blue light passes and how, once that blue light goes away, things return to the way they were. I’m not sure that what TTPS want to do and what they are doing are compatible. I simply question if it is an appropriate use of technology to catch criminals. Next > Software Licensing and Life Cycle Limitations.